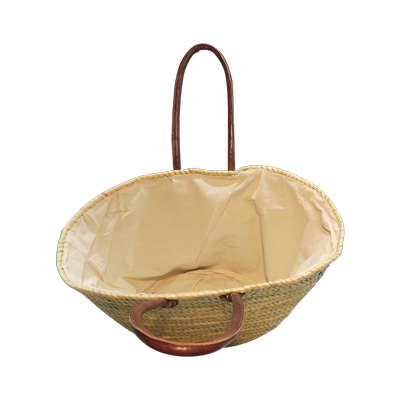 These baskets are genuine French-style market baskets imported from Morocco. 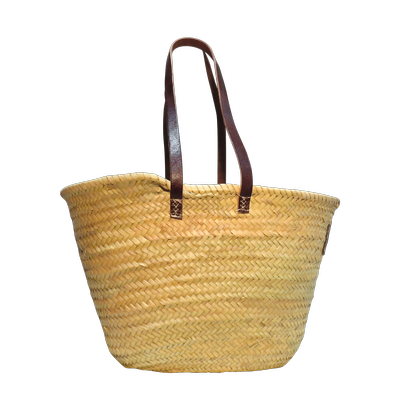 Each one is handmade using traditional methods and techniques and so is unique. 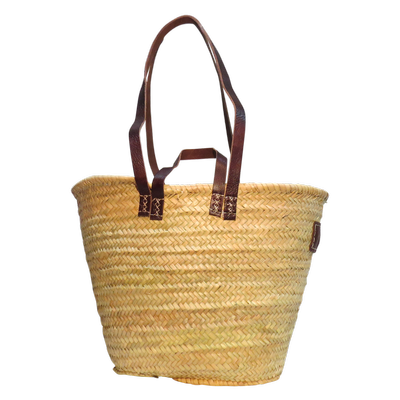 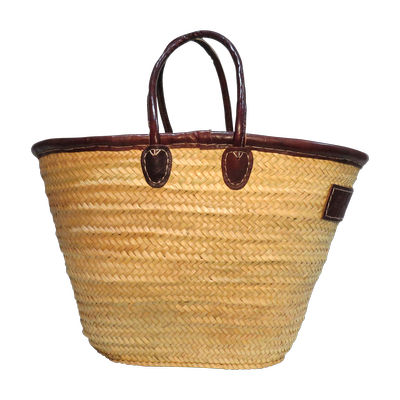 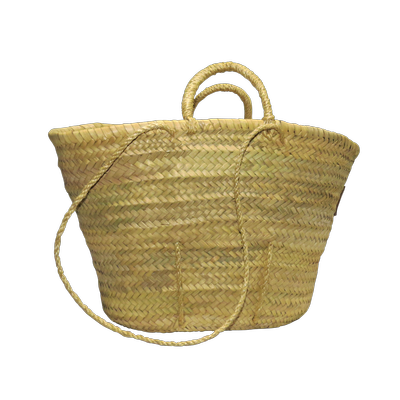 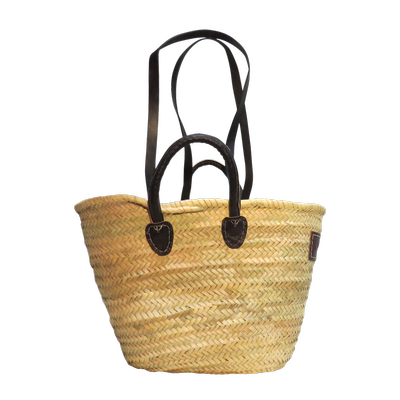 The baskets are made of strips of woven palm leaves from a species of date palm - Phoenix Dactylifera. 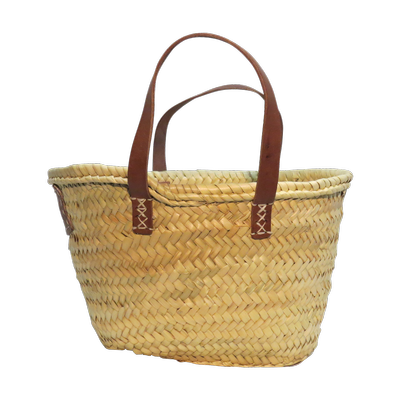 The strips are then sewn together and the basket built up in "rounds" into the traditional triangle shape, variations of which can be found in countries all around the Mediterranean. 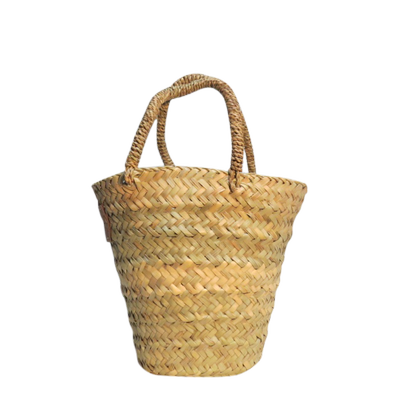 The more rounds the bigger the basket! 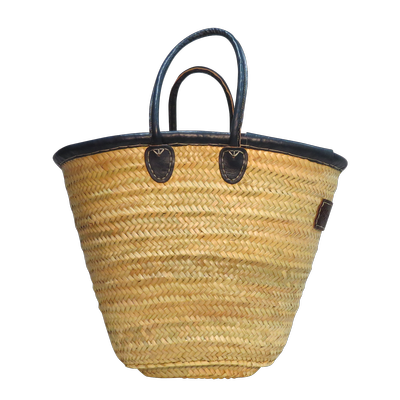 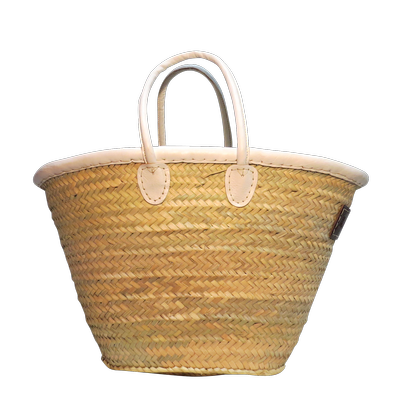 The handles are of genuine Moroccan leather and firmly fixed to the baskets so they won't pull off. 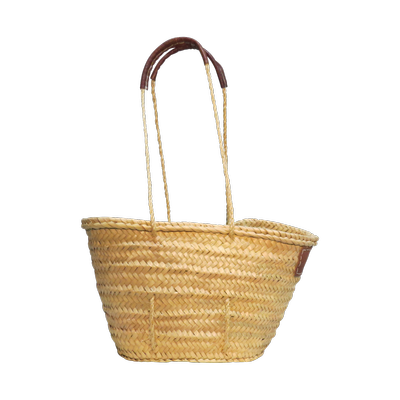 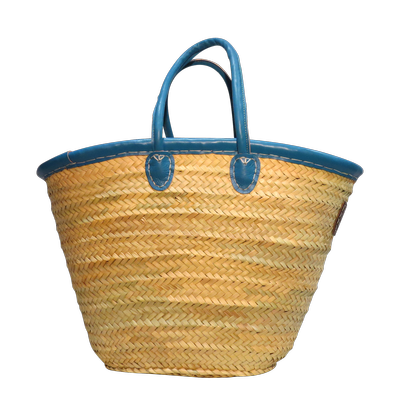 Handles are either short so the baskets can be carried in the hand or on the elbow, or longer to go over the shoulder.